My experience with the Rio 2016 Olympics is bitter. The Olympics. An event that most of the world waits years for. Literal years. 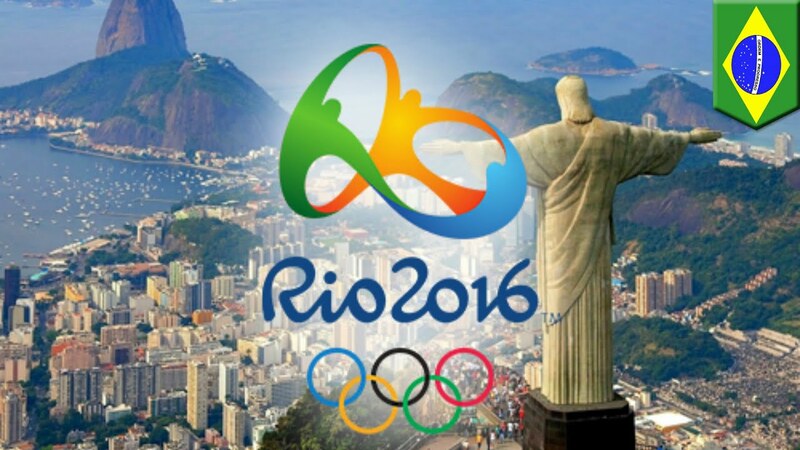 Athletes train all over the world for this event and mark it as the ultimate goal. Being an athletic person, but nothing to the standard of those who compete, I am an avid watcher of the Olympics and get very excited for all the events. I have my favorites to watch; track & field, volleyball, swimming, soccer, and of course, gymnastics. This year, just like every other, I intended to watch my favorites and see the US win many medals. I should have known this would not go according to plan after I couldn't make it through the opening ceremony. Opening ceremony marks the beginning of the most exciting two weeks sports has to offer. Each time there is something different and new that happens making it memorable. Maybe it was because I had talked this up so much or was expecting a lot, but to me, the opening ceremony was not what I thought it would be. I understand that Brazil did not have an extensive amount of money to put this on, and they did an amazing job with what they had. The illusion created from the video was quite amazing and getting to see the history of the country played out in front of you was interesting as well. Their culture was clearly shown and it was nice to see they had such pride for their country. However, even as I look back on it I just couldn't pick out something spectacular that I loved. Maybe if I stuck it out until all the teams entered I would have been more interested, but I just couldn't make it happen. This feeling of disappointment continued on as the week did when nothing was ever on when it was said to be. To make sure my Olympic experience this year was just as good as the past, I even downloaded the NBC app for my phone to always be in touch with what was going on. Notifications are on and each time I would get a ding that an event was on live I would instantly turn on the tv to catch it. But wait, it wasn't on! I thought maybe this would happen once or twice but it seemed to happen every time I wanted to watch something. The schedule for Rio 2016 seemed to be a little funky to me and I think should have been clarified as to what meant if it was on tv or some other way of broadcasting. To sum up this experience that was less than satisfactory, all was brought to a crashing end when I opened up Facebook to just do my daily checking of things. There it was, right at the top of my news feed: "US Gymnasts win gold in team final! Share your reaction with friends." Excuse me? The team final was not supposed to be on until 7p.m. that night. I wanted to wait and watch the competition, be wowed by the excellence our women's team has, and see them dominate and win gold. But Facebook took that away from me. I know there is a little time difference but that still doesn't account for why Facebook and the rest of all media sites knew the results when they hadn't even aired on television yet. I was unpleased to say the least. I get it Facebook, you want to be on top of things and give your users the best experience and knowledge you can, but this is where I draw the line. Checking in when world catastrophes happen, perfectly fine. But I do not appreciate ruining my Olympic experience because you wanted to be on top of things and better than everyone else. So yes, as you can see my experience with the Rio 2016 Olympics is bitter. Don't even get me started on how the Olympics are conducted and what it does to the people and places they are in. No matter what happens though I still enjoy watching how well and how talented all the athletes are. All I'm saying is I hope things can change before the next Olympics, because this time around has already gone down the drain for me.